Prime Minister Narendra Modi evidently scored a point with the support he lent the Armed Forces Special Powers Act (AFSPA) even as the Congress manifesto calls for a review of it in Jammu and Kashmir. Modi told Network18 removing AFSPA is like ‘sending our soldiers to the gallows’ and the BJP would never do that. This will largely sit well with the Indian Armed Forces. But how effective is the AFSPA in its current form? Does it give cover to our soldiers? This question demands an answer beyond the BJP-Congress rhetoric. In this era of fake news, the brouhaha reached a crescendo with a story going viral about how Indian soldiers were sent to jail — at the behest of former Jammu and Kashmir chief minister Mehbooba Mufti — simply for having stopped a civilian vehicle at a barricade. This fake news became the symbol of everything that is wrong with hobbling our men in what is essentially a battle zone. The echo of the lie that masquerades as the truth is something we have learnt to live with. The more important question to ask is this: Does AFSPA actually give the men in the firing line legal cover? 1: After giving such due warning, fire upon or use other kinds of force even if it causes death, against the person who is acting against law or order in the disturbed area for the maintenance of public order. 2: Destroy any arms dump, hide-outs, prepared or fortified position or shelter or training camp from which armed attacks are made by the armed volunteers or armed gangs or absconders wanted for any offence. 3: To arrest without a warrant anyone who has committed cognisable offences or is reasonably suspected of having done so and may use force if needed for the arrest. 4: To enter and search any premise in order to make such arrests, or to recover any person wrongfully restrained or any arms, ammunition or explosive substances and seize it. 5: Stop and search any vehicle or vessel reasonably suspected to be carrying such person or weapons. 6: Any person arrested and taken into custody under this Act shall be made present over to the officer in-charge of the nearest police station with least possible delay, together with a report of the circumstances occasioning the arrest. But now, every one of these actions can trigger judicial probes and reports against soldiers that would have them confined to barracks or worse, arrested on charges of violence, torture, assault and molestation. And in every such case, give the local police powers that render null and void the soldier’s initiative. 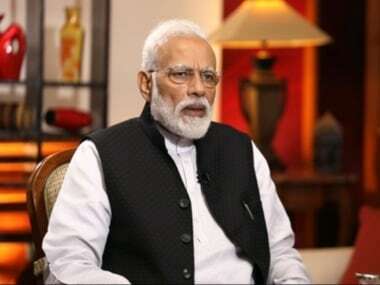 Consequently, Modi’s indignation over the Congress shortsightedness and myopic vision is slightly skewed by the general feeling in the forces that they are collectively and singly vulnerable to legal prosecution while carrying out their duties and that the human factors of fear, self-preservation and search for safety in the face of death by violence has been disregarded. In this context, the Major Gogoi case leaps centre stage. In April 2017, to escape stone-pelters and save his squad, Gogoi tied a local — Farooq Ahmad Dar — to the bonnet of his official vehicle and used him as a human shield in the Beerwah area of central Kashmir’s Budgam district. Dar is seeking legal justice for this act of torture. In a post-op situation or one where you are under threat of life or are confronting elements who have just killed your mates and would happily kill you (that being their singular intent) the one proviso the AFSPA should satisfy is that soldiers expect their nation to have their backs and not have to watch their back from their nation and government. There is no right way to behave when someone is carving your name on a bullet.